What is meant by “the server”? Office 2016 (and its Office Online & iOS/Mac equivalents) has seen a major re-birth of the Office.js APIs, with hundreds of new APIs added to Excel, Word, and OneNote. 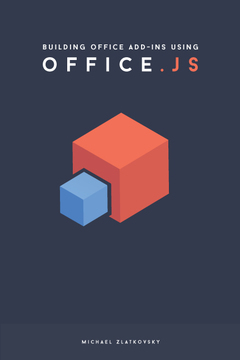 The new Office.js APIs are a fundamental departure from the original Office 2013 design, offering a much richer object model. These APIs are cross-platform, are built on a modern web framework, and offer some of the same powerful functionality that previously was only available on the Desktop. In spirit, the new APIs are much closer to VBA/VSTO, but with the notable difference of being async — which brings with it a new set of concepts and best practices. This site will address the core concepts to help you get over the initial learning curve, and get started on using the APIs. For more advanced scenarios, debugging advice, tips, FAQs, and topics beyond the APIs themselves (calling external services, publishing, licensing, protecting intellectual property, etc. ), I encourage you to read the e-book that accompanies this site. With the new wave of Office.js APIs, as well as increased UI capacities for add-ins, it’s an exciting time to be an Office Add-ins developer. For a whirlwind tour of the new features, this 5-minute video will show some of the highlights of the new platform. Otherweise, use the site’s navigation menu to dive into the API topics and start developing Office Add-ins.